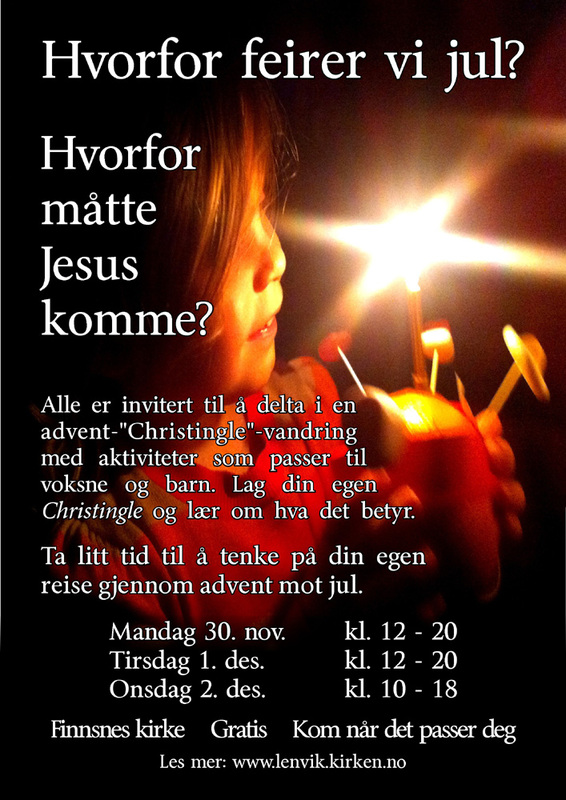 It’s become a bit of a tradition here in Finnsnes to have a creative ‘prayer walk’ (bønnevandring) at the beginning of advent. The last couple of years Sarah has arranged it in the form of a labyrinth, but this year she has created an interactive craft and prayer ‘journey’ based on making a “Christingle”. 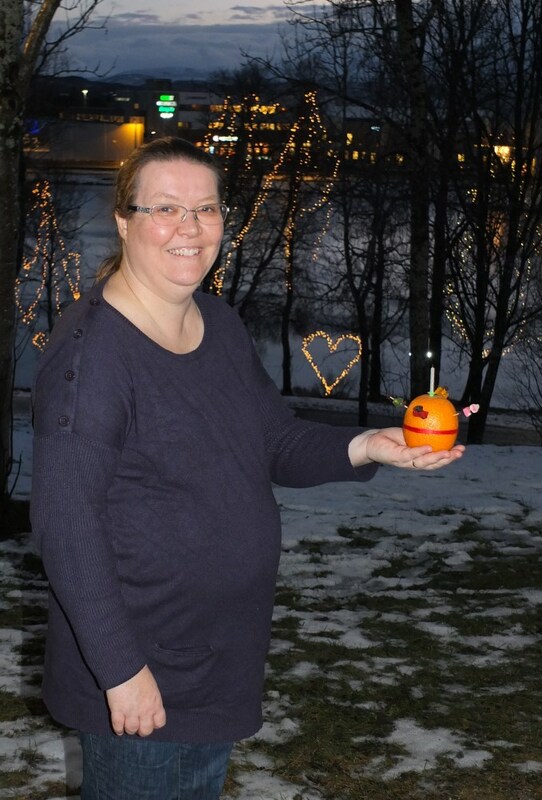 You can read more about Christingles here and here. The event is open Monday to Wednesday and has been well recieved by children and adults alike. Here is Sarah with one she prepared earlier, although the point of the event is more to engage with the ‘journey’ than the end product! Yes, the lake in the background is frozen, but not thick enough yet for skating.